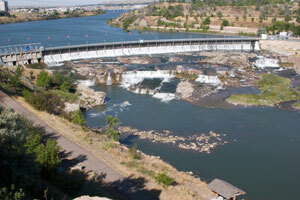 Great Falls is home to over 50,000 people and is known as “The Electric City”. There are many effective advertising opportunities throughout the city including the several universities that call Great Falls home. Out-of-home advertisements near the University of Great Falls or Montana State University, Great Falls will allow you to capture hundreds of potential customers. Target your audience with outdoor billboards or other digital signage advertising near the C. M. Russell Museum Complex. The major highways running through Great Falls also provides outdoor billboard possibilities to generate high traffic exposure of your business. Zip Codes: 59401, 59403, 59404, 59405, 59406.